The Kentucky Missing and Exploited Children Unit was organized in 1984 to create a centralized clearinghouse to assist law enforcement agencies to locate and return missing children to their homes. The unit’s mission is to disseminate information, provide technical assistance in the investigation of such cases, and offer training for the investigation of missing person cases. It also acts as a liaison between the National Center for Missing and Exploited Children and agencies within Kentucky. This page is designed to provide safety tips to parents, give direction for those whose child is missing, and offer links to the website of the National Center for Missing and Exploited Children. This origination provides a centralized clearinghouse for data on missing children. • Their first and last names. • Telephone number, including area code. • Parents’ first and last names. • How to use the phone to dial “911” or “0” in an emergency, and how to make a long distance call. • A secret family password; and understand not to go with anyone unless they know the password.Not to go anywhere without permission from a parent, baby-sitter, or teacher. • Not to stray from you in a public place, and to go to a police officer or store employee for help if they become lost. • It is alright to say “No” to an adult if they sense danger. Teach them to yell “HELP! This is not my Dad/Mom!”. Continue to yell, kick and try to break loose until they get safely away. • Never to tell someone on the phone they are alone or open the door to strangers. If a delivery is being made, have them leave it on the porch. Know the whereabouts of your child. Never leave your child alone in an unattended vehicle. Never let your children out of your sight while shopping in a store or mall. Never let your child go to a public restroom alone. Know the names, addresses, and parents’ names of your child’s friends. Take pictures of your child at least once a year. If under the age of two, four times a year. Write a detailed description of your child. Include height, weight, age, eye and hair color, birthmarks, scars, moles, and any specific physical characteristics your child may have. Make sure your dentist prepares full dental charts on your child and updates them with each exam. Find out from your doctor where your child’s medical records are located. All permanent scars, birthmarks, broken bones, and medical needs should be recorded. Arrange with your local police department to have your child fingerprinted. The police department will give you the fingerprint card. They will NOT keep a record of your child’s prints. Share quality time with each child, listen and guide them through difficult periods. Exercise plenty of patience, love and understanding. Take their worries and fears seriously. Pay attention when they ask for help and realize these requests for help may not be in the form of a simple verbal plea. Note the following warning signs and be aware of them. Confront signs of trouble in a direct and calm manner. Discuss your concern and the consequences of continued unacceptable behavior. Listen and discuss calmly – try not to lecture. Talk with your child’s teachers and parents of their friends. Often, helpful insights can result. Sleep Changes – fatigue, early morning wakening, insomnia or increased sleeping. Personality Changes – apathy, boredom, irritability, preoccupation with a single thought, abrupt mood swings, excessive blowups triggered by small things, use of alcohol and/or other drugs. Withdrawal From Family – growing isolation, avoidance of family gatherings – even at meals, and increased violation of house rules. School Problems – cutting classes, truancy, falling grades, apathy, fights and other disciplinary problems. Withdrawal From Friends – fallouts with friends, hostility toward former friends, new (often older) friends, reluctance to introduce parents to new friends. Over reaction To Family – prolonged reaction to loss or stress from death, divorce, illness, loss of job, or change of residence. Trust Your Feelings – parents often have “gut feelings” when something is wrong. Trust these feelings and watch for these signs. It is very important for parents to remain calm and rational when they discover that their child has run away. Do not panic or lose sight of the immediate task at hand – to locate the runaway and return him or her safely to home. Check with your child’s friends, school, neighbors, relatives, or anyone else who may know of your child’s whereabouts. Ask them to notify you if they hear from the child. Contact the local police. Provide a complete description of the child, birth date, school and grade, medical and dental records or doctors’s names. Include circumstances surrounding the disappearance and the complete name and description of the abductor and vehicle used, if known. Provide the police with a recent photo of your child. Record the name and badge number of the officer who takes the report. Find out who will follow up the initial investigation. Also, be sure to request the case number of the missing persons report. Remember: Keep a notebook and record all information on the investigation. Ask that all data regarding the missing child be entered into the Law Information Network of Kentucky (LINK) computer, National Crime Information Center (NCIC) computer, and the Kentucky Missing and Exploited Children Unit. 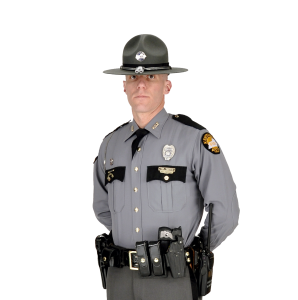 Double check to make sure that the Kentucky Missing and Exploited Children Unit receives a KSP 261 Missing Persons Report and a current photo so that a flyer can be distributed statewide and to surrounding states. Wait 24 hours and then check with the police to determine that the information has been entered. Ask to receive a copy of the printout, if desired. If the information has not been entered into the LINK and NCIC computers, then contact the Kentucky Missing and Exploited Children Unit and sign an affidavit that the local agency is in non-compliance with the law. Request that you be kept informed on a regular basis of the status of the investigation. When your child returns home, make sure to show love and concern for his or her safety – NOT anger or fear. If you react angrily, your child may feel unwanted and unloved and may run away again as soon as possible. Please make sure that your child understands that you care about what happens to him or her. Promptly notify police and anyone else who may have assisted you. Most importantly, try to resolve the problems in your family that prompted your child to leave home in the first place. In general, children run away because of problems or stresses in the family or at home – such as divorce, re-marriage, alcoholism and other drug abuse, and physical or sexual abuse. If you are unable to deal with the family problems effectively, seek the assistance of a trained counselor or professional. Parents can contact the local Department of Social Services, Family Services, or other public or private agencies that help families. Members of the clergy, school personnel or the law enforcement community can also direct you to available services and resources. It may be necessary for your child to go to a temporary residence or runaway shelter while the family works toward resolving its problems. A trained counselor can help you make this decision.